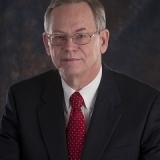 Charles Sidebottom is a Managing Partner at PPO Standards LLC. He began working for Medtronic in 1980 and was involved with IT and software product development before he was offered a side position within the regulatory affairs committee. After his experience in regulatory affairs, he enjoyed it and decided to take it on full time. Charles is a Technical Fellow and a Distinguished Standards Advisor in Medtronics Global Regulatory Affairs organization. While at Medtronic he was responsible for their corporate standards program. In that role he represented Medtronic at national and international standards organizations on standards matters affecting the medical device industry. Charles has spoken and written on the subject of medical device labeling. He is the author of the book International Labeling Requirements for Medical Devices, Medical Equipment, and Diagnostic products. He attributes his success to having a passion for the work and wanted to continue on after he retired from Medtronic in a consulting role. He sees himself staying active within his current field for the next few years, and will continue to take consulting roles for jobs that appeal to him. Charles is also very active within his church, The Spirit of Hope United Methodist, and also has a scholarship program set up for his alma mater Iowa State.